It's about doing it right the first time. Every time. 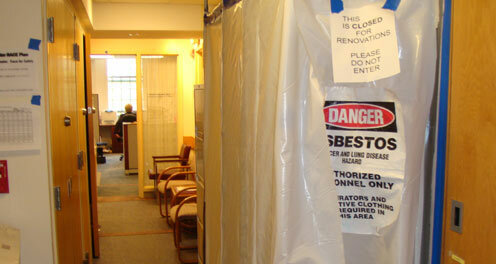 With more than 25 years of experience in union-based remediation and facilities services, primarily in the asbestos and mold abatement markets, we offer complete services from abatement to mold remediation to demolition and cleanup of properties. We are also an FM Approved Firestop Contractor-one of just a few in the area-which means all of our products and services conform to the highest standard, assuring our customers' properties are protected from loss. One of our largest growth areas is in the medical community. In fact, we have more hospital projects than any other in Massachusetts. We've worked at Children's Hospital for over 25 years with no incidents or violations and work with some of the most stringent safety regulations in the state. We've built a history offering controlled environmental solutions in occupied spaces-highly trained in ICU, OR, and psychiatric wards-and specialize in remediation without disrupting staff. Because we are locally based and serve only the New England area, we are able to be on site at our customers' facilities within hours. WE'RE FOCUSED, EXPERIENCED AND COMMITTED TO YOU.